I’m not much of a handyman. When something breaks at our house, my first instinct is to call in a professional who knows what he’s doing. What I have discovered (several hundreds of dollars in service bills later) is that a lot of the time, the only thing stopping me from doing the repair job myself is having the right tools. The correct wrench and socket set can save a lot of pain, time and money down the road. The same principle is true when it comes to leading a successful Bible study with your small group. Having the right tools available can open a conversation around God’s Word that will eventually lead to discipleship. 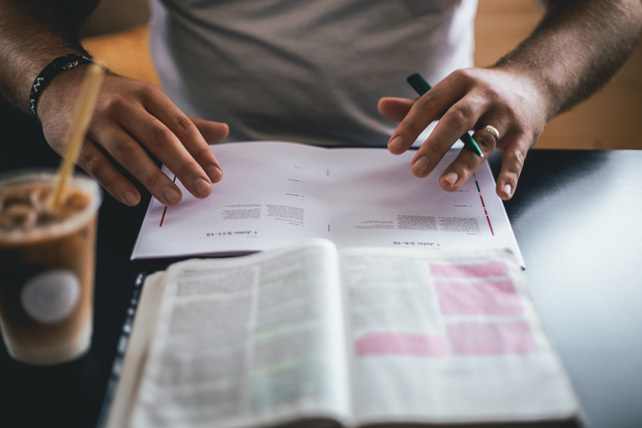 You don’t need seminary training to lead a great Bible study. All you need is some planning and a few tools. The first thing a group leader needs to do is plan ahead. Even if the Bible study is pre-written, you need to know where the finish line of the discussion should be so the members in the group can get there together. Otherwise, you will get off course and spend the night chasing conversation rabbit trails. Know the material and always bring the discussion back to the center of God’s Word. 1. Smallgroup.com is an online library of discussion-driven and video-enhanced studies that you can customize for your small group to have a consistent and transformational discipleship experience. I used Smallgroup.com to build all of the sermon-based studies at my church. It’s a great place to start for any group looking for an engaging way to study the Bible.